The Soviet Republic of Georgia, 1924 - 1950. Georgia is an ancient land located high in the Caucasus mountains. Its unique culture, history and alphabet have been the subject of fascination for centuries. In modern times, a briefly independent Georgia was invaded by Soviet troops in 1921, and incorporated into a Transcaucasion Soviet Republic in 1922. 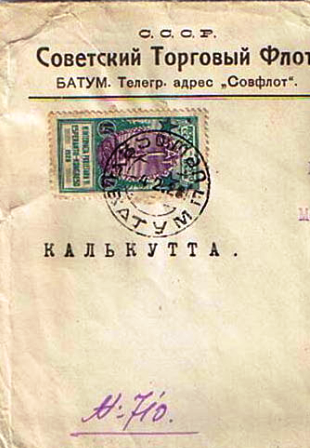 This exhibit traces the postal history of the Georgian Republic from the introduction of Soviet franking in February 1924 through the early years after the Second World War.